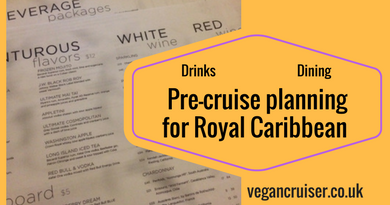 On most of our cruises, we have qualified for the ‘offer’ of free All Inclusive (AI) drinks. This is because we usually book far enough in advance. It is a good perk to have if you can book early. Do note, though, that most of these packages are not fully-AI, but up to certain price point. But they still can save you a lot of money. I have been in touch with the lovely M.M. in the UK customer service team and she has been so helpful in liaising with Vision OTS. She contacted the ship and advised that the pasta onboard can be both kinds – egg pasta or wheat pasta with a ‘may contain egg’ warning. Latter is fine by me, I have no egg allergy. I can take a risk of contamination, after all, all my food is prepared in a galley that serves everything onboard. Maybe on this cruise, I can have pasta, tomato sauce & veg while hubby was denied all that in November (for not being vegan, according to staff). 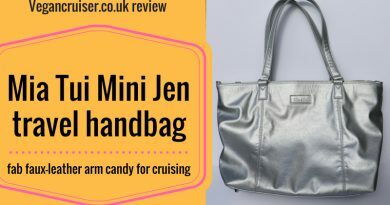 But what about the drink packages and alcohol served onboard? I couldn’t get a wine list from Vision OTS. But my kind RC contact sent me a ‘fleetwide’ PDF wine & cocktail list so hoping it applies to our ship and our sailing. None of the wines on the list are marked vegan but thankfully with the aid of Barnivore.com I should be able to easily find out which are suitable for my new vegan lifestyle. This wasn’t anything we had taken into consideration a few months ago and had been mainly worried about our dining. 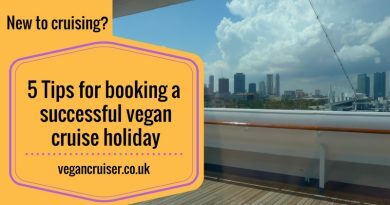 But from experience, we know that dining vegan onboard shouldn’t be a problem. Especially as I can now tell staff that ‘may contain egg’ notice on pasta is ok.
Will post more on the drink selection once I have gone through the list e-mailed to me. 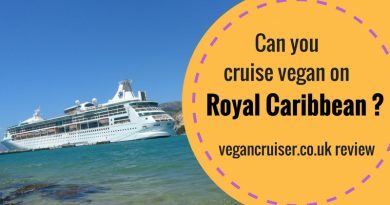 Can you cruise vegan on Royal Caribbean?